If you are a biker in New York City, you are well aware of the bike theft issue here. Every day many people report about their bike being stolen by thugs. In 2015, more than 590 stolen bikes were reported during the first quarter of the year. 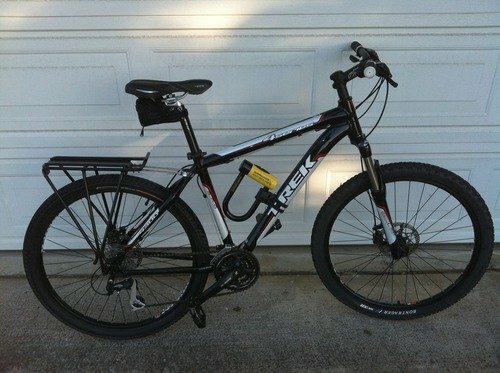 Being careful is the first step towards negating the chances of the bikes being stolen. The second thing you can do is to switch your bicycle lock to one individually tailored to meet NY city standards. Speaking from experience, Kryptonite New York Fahgettaboutit U-lock is especially suited for NY streets and to counter the local thugs. In this article, I’ll be reviewing this lock’s features and benefits. 3 How to Use the Lock? The manufacturers devoted serious attention towards security while developing this tool. It consists of 18mm hardened steel. It is by far the thickest amount Kryptonite has come up with. The cylinder at the bottom is very hard to cut with bolts or even cutters. The designers have also come up with oversized steel sleeve that is hardened to resist shocks. With all these features, it is definitely one of the toughest locks to get around. 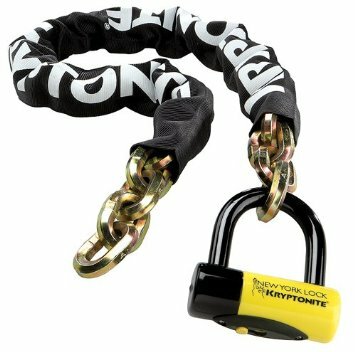 After testing Kryptonite New York Fahgettaboutit U-lock first hand, I must say that the hardened steel is powerful enough to fend off bolt cutters and hacksaws. It even comes away with drill attacks unscathed. The deadbolt locking keeps the cylinder in place. Most locks will make strange sounds when they are not closed properly or are displaced. But the deadbolts ensure that every part of the tool is in place accordingly. Using it is really straightforward. You just need to slip the key in the center slot and twist the key to getting the lock opened. The center of the keyhole is made in a way that too much leverage will block it. You will get 3 keys supplied with the package. One of the keys is lighted so that you can use it in the dark as well. The guys at Kryptonite really covered all the bases. It is basically a way to measure how secure the lock is based on a scale developed by Kryptonite Company. Manufacturers proudly give it a 10 out of possible 12. It has the highest rating among Kryptonite Locks. Personally speaking, I’ve been using it for more than 9 months now. So far, it has served me well. I live in Manhattan, one of the busiest areas of New York. Traveling by bike here is risky because of thieves lurking around. But with Kryptonite New York Fahgettaboutit I can park my bike and have a coffee at the coffee bar or go for a hangout with friends without worrying too much about thieves. – Toughest designed lock from Kryptonite to ensure the best security. – 18mm hardened steel resists hacksaw, drill, and leverage attacks. – The oversized crossover cylinder and deadbolts keep the tool intact. – Three keys in the package. One of them is lighted for night time use. – Has the security rating of 10 out of 12 in Kryptonite’s scale. – It might be expensive for some people. – The lock is on the heavier side. Q: Will a Mounting Kit be good for this lock? A: This is a heavy tool itself. Mounting this tool will not be a right thing to do actually. Even using a holster will require luck. 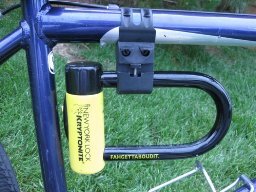 Kryptonite New York Fahgettaboutit U-lock is one of the most robust locks that I have tried with my DiamondBack bike. It delivers what it promises and if you are locking a single Mountain Bike with it, this is one of the best locks you’ll find. Also, the lock is very user-friendly. Anyone can operate it. The one blemish it has been the weight. To counter the weight I use a transport case at the back of my career. Other than that, it is absolutely worth the money. Kryptonite KryptoLok Series 2 LS U-Lock Review: Best Bike Lock within Budget?